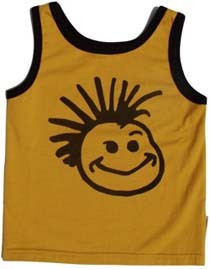 Great Knuckleheads logo tank in mustard with dark brown trim. Oh so retro and oh so timeless at the same time. Perfect for those warm summer nights.